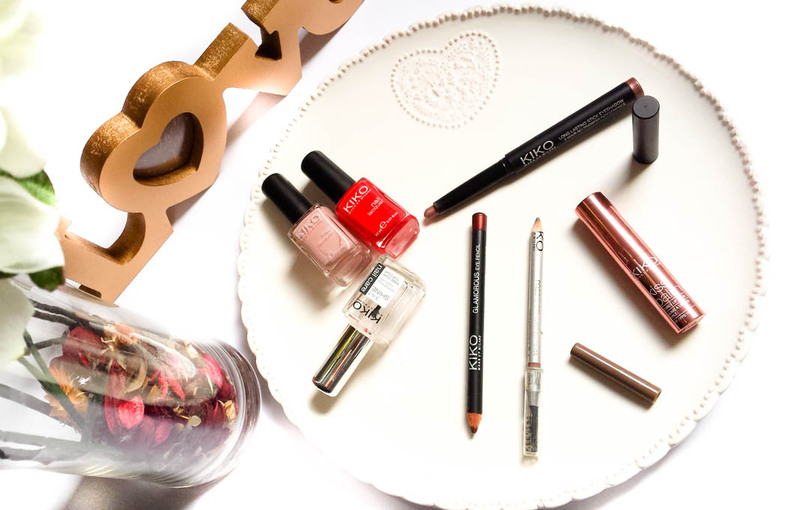 Kiko Cosmetics Top 5 Must Haves! A while ago I did a post about the best and worst products from Kiko Cosmetics (Best & Worst products post) but I thought I'd give you an update with my top fives items. 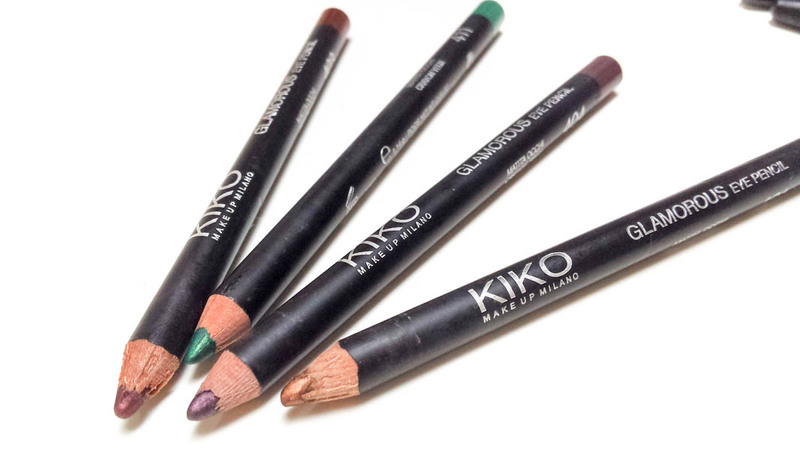 I have tried quite a few products from Kiko but in my opinion these five are the best I've tried so far. 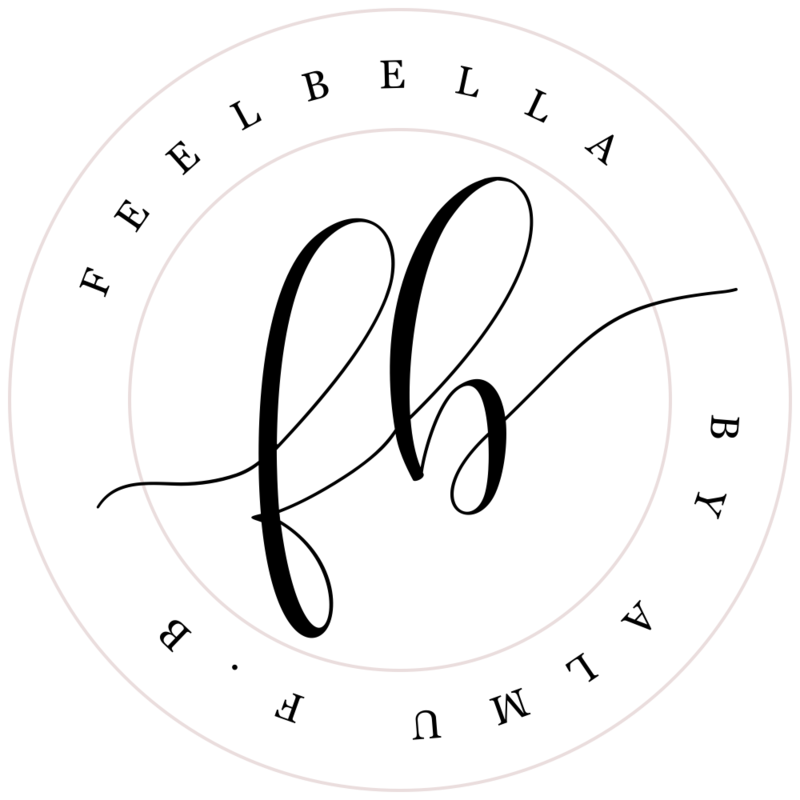 If your are visiting a store for the first time or you are about to place an order on their website be sure to check out these products. Nail Polishes and Nail Care. 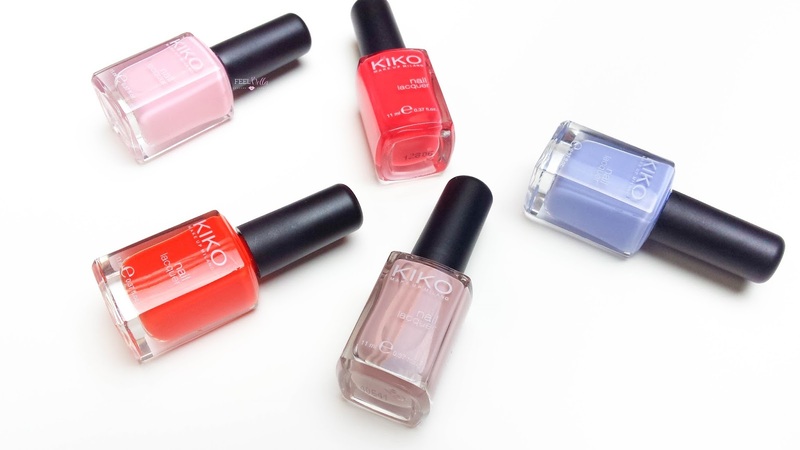 The Kiko nail lacquers are one of best sellers of the brand; they have so many colours to choose from and the quality of these is pretty good for a non-expensive polish. The Kiko 3 in 1 Shine Top coat and the Smooth Base Coat from their Nail Care section are worth trying as well. 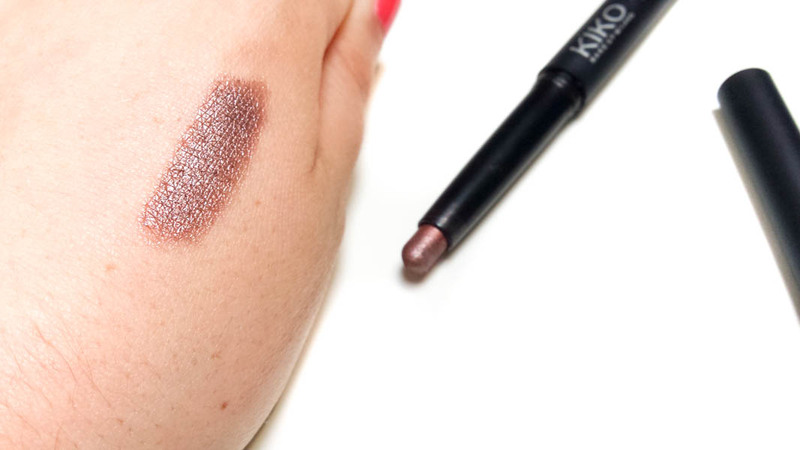 Glamorous Eye Pencil. They are very creamy, high pigmented and easy to blend and the colors are simply amazing. Long Lasting Stick Eyeshadow. They are really long lasting, water resistant, they have a pretty and sleek packaging and a wide range of shades. I particularly love the shade number 5 called Rosy Brown, a gorgeous bronze colour with a pink undertone (full review here). Precision Eye Brow Pencil. This is one of my favourites products from Kiko Cosmetics. The application of this slim pencil is precise and gives off the perfect amount of product leaving a natural looking result. And it comes with its own sharpener! Have you tried any of these products? 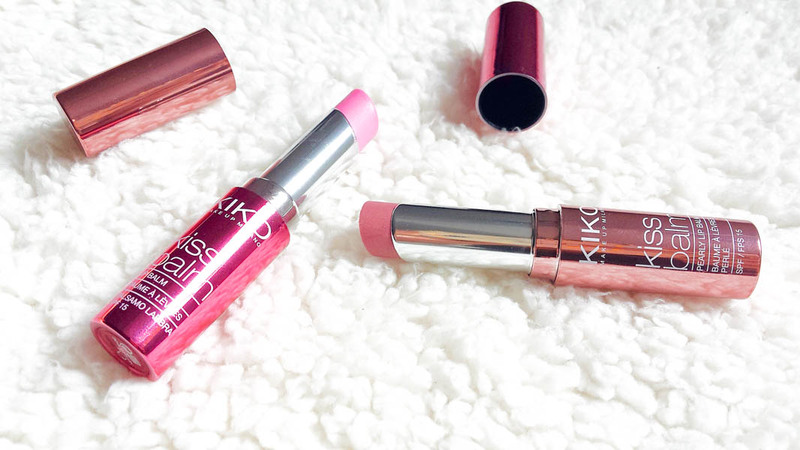 Which is your favourite product from Kiko? 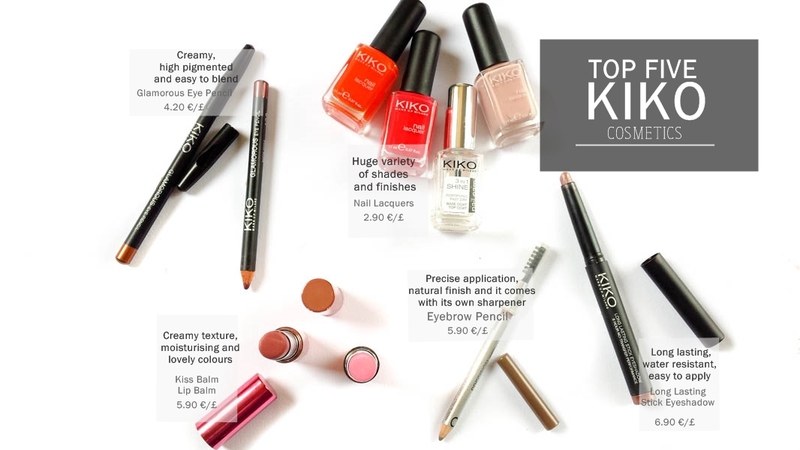 4 comments on "Best of Kiko Cosmetics: Top 5 Must Haves "
Never have treid Kiko before, definitely want to try these out!